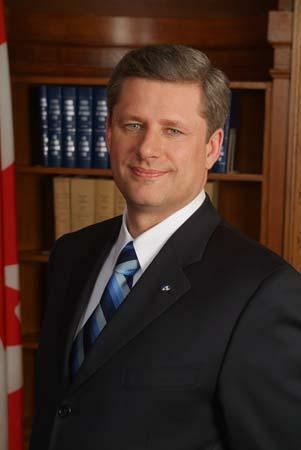 ← Is It Just Tough Love The Conservatives Are Giving Less Fortunate Canadians? Liberal and NDP Merge Oh Boy! 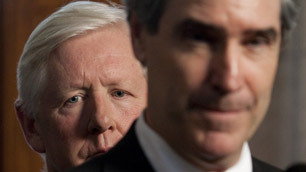 I wish the Liberal party and the NDP would merge and stop this stupid split of the votes that gives the Conservative party and almost certain minority government after every election which means getting nothing done in Ottawa except a lot of arguing and posturing and shutting down of parliament when the Conservatives do not get their way, or want to hide from another scandal. I think it important that a new leader be found to head any government that might come out of the merger. Jack, and Michael should think of retiring for the good of the country and their parties, they are dinosaurs and as phony as a three dollar bill. Neither of you has the interest of the country at heart and will do or say anything to stay in the driver’s seat of their party. They are both satisfying a life long personal dream, but their time is past and the country has changed while they did not. It is time for a new leader that understands the new Canada and has a fresh vision of where Canada needs to be in the new world. America no longer honors her treaties and trade deals and that makes her not a trust worthy partner and we need a leader who is not afraid to say so and look elsewhere for trading partners. The United States gave up caring for their poor long time ago where medicine and health care were concerned. We thought that this was not right then and that it was our responsibility to see that every Canadian had at least the basic requirements for life. It was a good way to be and a good way to think. What changed in us as Canadians that we wanted to be Americans and give up our way of life, our compassion for our people and other people around the world in need of help? Why could we not remain the example of the great country that takes care of all its people and a respected leader of peace in the world? This is why we need a new leader with a new vision for Canada and for Canadians. One who will respect long honored traditional Canadian values that have made this country great while infusing new ideas and new strategies for making life better for Canadians and for people around the world. Long ago the NDP, and the Liberals knew that they were making it possible for the Conservatives to win and cause the people of Canada hardship, but neither one could see past their personal ambitions and aspirations to do the right thing. Instead they fight each other on petty issues and leave the governing of the country to the blood suckers. It is not good enough to say I am for the people Mr. Layton and then run from one side to the other blocking and playing deal maker to get your five minutes in the spotlight. You keep saying you vote the way you do for the people of Canada issue by issue, but I just see you as a major distraction to getting serious work done. They court you like the photo grabbing whore that you have become and when they are finished using you they put you back on the corner to be used by someone else. 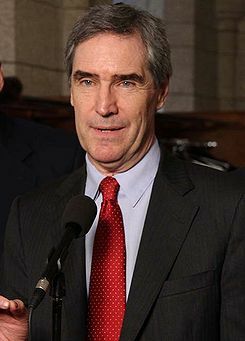 Mr. Ignatieff the people do not trust you and that is a fact. Why is really not important that they do not is. You need to step aside and face facts. The Liberals will never get to govern while you are their leader. The liberals under your direction are still afraid to lay it on the line and fight corrupt and unjust laws and tactics unless you are assured a victory ahead of time in the polls. You guys would rather be the opposition party forever and keep your jobs and good pays as ministers than challenge a corrupt, arrogant anti Canadian, pro-American government. We the Canadian people are not stupid. This is how we see you and this is why we have one worst voter turn outs in the free world. None of you right now are worth the time, or the ink required to vote. A vote for any of you means the same bad type of government full of corruption and scandal. It hardly seems worth-while to go to the polls. Maybe it is your lack of trust in the Canadian people and in your ability to win that has Canadians not trusting you or your party. We are frustrated with you constantly calling wolf only to back out in the end. If the Conservatives are guilty of screwing the poor, you Liberals and NDP are the tool they use to do it with. The Conservatives should have taught you the importance of merging parties that have small differences and coming out with one that can be stronger and more efficient with a little compromising. How long will you let this vile corrupt government rule because you care too much about personal gain and not enough about the welfare of the country? Harper the supreme liar and con man of the century has got you and your counter part in the NDP at each others throats again. He knows what will happen to his party if the two of your parties merge. He did it not too long ago. He cheated and conned his way into the leadership and has held it ever since. The Conservatives realised that as long as they were fighting their shadow party and splitting the conservative vote they would never come to power so they merged. This kind of recognition of you strengths and weaknesses take guts. 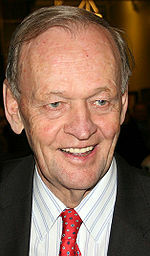 The kind of guts that has been lacking since John Chretien led the Liberals. Old John was not perfect, but he was no coward either. Cowards rarely rule and if they get there by fluke they do not remain long. You have been out foxed and out maneuvered by the Conservatives because you are scared to take the chance of losing. If you think you are not ready to win; why should we the people of Canada feel that you can. You can not win if you do not play and if you are too scared to play get out-of-the-way and let somebody sit at the table who is not. The road to victory starts with the first step. You all laughed and took the job away from Mr. Dion saying he did not have the heart of the people and was afraid to call an election that he could not win. How are you any different as a party now then you were then? If you do not merge your parties, you will keeping this country in political limbo until one of you just goes away. I can not stress forcefully enough that the two of you are killing this country that you have already handed over to the blood sucking Conservatives to govern. This entry was posted in Government, Uncategorized and tagged Governments merging political parties, Harper, Ignatieff, Layton, prodedure, stepping up to the plate. Bookmark the permalink.